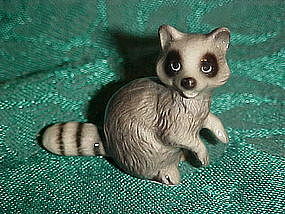 Sweet vintage miniature raccoon. I was told it is by Hagan Renaker. Measures just 1 1/2" tall and is in PERFECT condition with no damages or repairs. What a cute little guy!